Jake Knight will play his 100th 1st Grade game this Saturday 20 May against Wests, joining less than 12 others in club history to achieve this major milestone. The most recent inductee was Jake’s long-standing 1st Grade teammate Sione Taula. Jake has scored at the phenomenal rate of almost a try per game with well over 400 points in tries over the last 10 years since starting in 1st Grade straight out of school in 2008. Renowned as much for his courage, professional attitude and physicality as his breathtaking speed, Vikings supporters have been treated to Snakey scorching down the Viking Park flanks in search of tries and usually coming up trumps. President Brendan Allardyce reflects on a fantastic milestone; “ I have known Jake a long time as his dad and uncle played here before him and since day 1 Jake has just shown such courage, passion, and freakish try scoring ability, he’s a pleasure to watch. He scored a 1st Grade hat-trick against Wests last year so I hope he can find the try line to mark his 100th first grade game on Saturday, he deserves it after such great service to our club”. 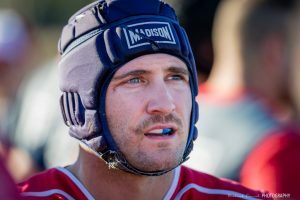 Jake has played at numerous representative levels having been on the Brumbies radar several times, played overseas and had stints in rugby league and as a semi-professional sprinter, but his first love has always been the Redmen. Come on down to Viking Park on Saturday to see Jake and his beloved Vikings take on Wests in all grades as we celebrate Sponsors Day and Jake’s milestone.